Stats SA reported disastrous results for the economy for the first three months of this year. The economy shrank by 2.2%. This prompted many economists to downgrade the prospects for the year. “Ramaphoria” would seem to be insufficient to attract investment into the economy. The real economy is the part where goods and services are produced and jobs created. The statistics show that it is in terminal decline. • Agriculture, where our food is produced, shrank by almost a quarter (24.4%). The drought in the Western Cape alone cannot explain this dramatic decline. • Mining and manufacturing, two key components of our economy, shrank by 10% and 6.5% respectively. The tendency towards the dangerous deindustrialisation of the economy is continuing. When whole industries decline, like steel for example, they can almost never be recovered. Jobs will go forever, as in Highveld Steel in 2016. • The investment strike by big business continues. “Gross fixed capital formation” is a way of measuring investment. It decreased by 3.2% in the first three months. This comes after several years of low private investment in the real economy. The corporations are to a large extent circulating their profits in financial operations or hoarding them in bank accounts, not investing them in production. Without the activities of government, the fall in GDP would have been greater. And it is a hallmark of our present day “financialised” capitalism that, in the middle of this contraction, the finance “industry” grew by 0.2%. In the real world where we live, poverty is increasing; real people are going hungry; real people have even less to eat than they did last year; and the year before. Real society is more degraded now than it was last year…and the year before…and the year before. The present situation would seem to cry out for a complete change of economic policy. The benchmark of the National Development Plan is 5.4% growth per year from 2012. What remains of this plan if growth is below 1% for the third year in a row? By now you would think that they would at least be wondering if they are doing the right thing – the government and the economists of the the banks and big industries who support them. Unfortunately not. For some, such dramatic failure has a different meaning: “we are on the right road but we are not doing enough. We won’t turn away from our neoliberal approach. We must cut government spending even more. We have not been outsourcing enough. We have not been privatising enough. We must strip government even more naked than it was. 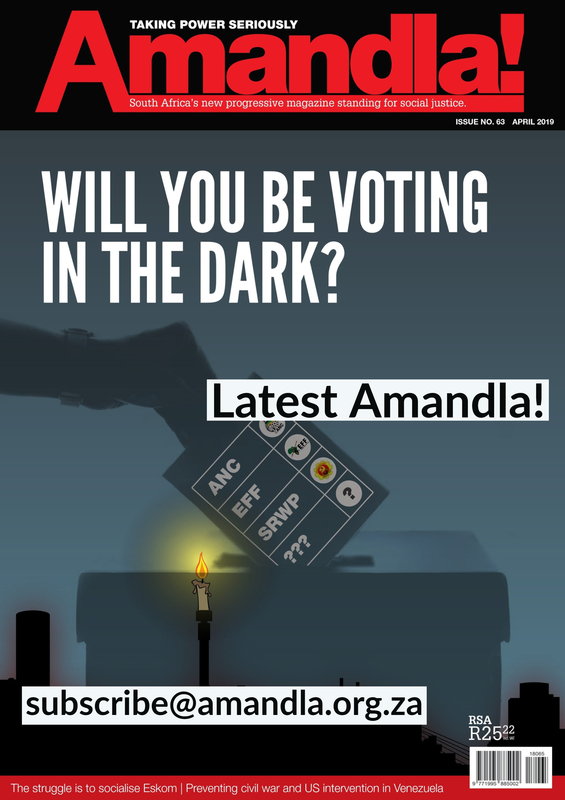 We must sell off the saleable parts of Eskom. We must sell off government land that we don’t need – sell it off, don’t use it to provide housing. We must cut government spending more. If the dose of neoliberalism has not worked, the way forward is clear – double the dose; triple the dose; keep increasing it until we find the effective dose”….or the patient dies. So there will be no change in economic policy and no sustained economic recovery. The economy will become even more dependent on foreign investment – chasing it at all costs. This means the inevitable race to the bottom to offer the best terms to investors: cheaper labour, limits on the right to strike, less taxation, regulation, easier terms to repatriate their profits. The economy will continue to be based on exporting unrefined commodities and minerals to the world market. But mining and quarrying industry production fell by 9.9 percent in the first three months of this year. The gold mines have got deeper and less profitable. Platinum demand has stagnated – a victim of the vagaries of the global auto industry and recycling. And the myth continues: “we need to see mining as a sunrise industry…that has massive unrealised potential for growth and job creation”. So said the President in his SONA speech in February. “With the revival in commodity prices”, the mining sector will “attract new investment, create jobs and set the industry on a new path of transformation and sustainability”. These pipe dreams of “export-led growth” are at the core of the government’s thinking, or rather at the core of its spinal reflexes. 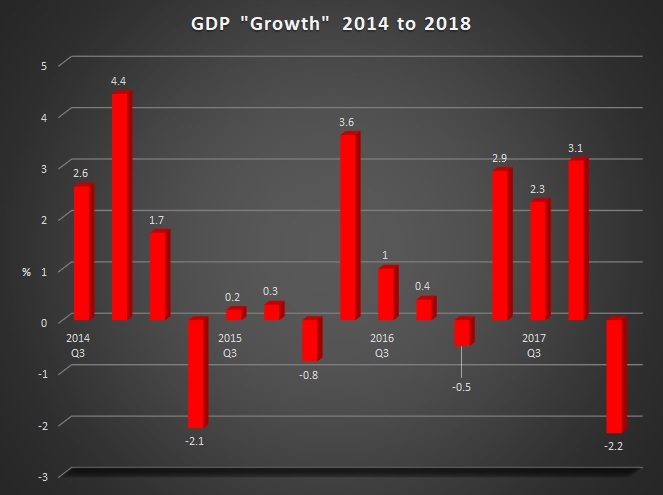 Current economic policy makes a South African economic recovery heavily reliant on a recovery of real economic growth in the countries that are supposed to import what South Africa is exporting: US, China, European Union, Japan …. Indeed, a return to “normal” for global capitalism is the basis of “Export-led Growth” policy. In the “actually existing” world however, exports fell by 16.5 percent in the first three months of 2018. The South African steel industry, already on its knees, is right now hit by a trade war started by the US government. US, Canada, China and EU are the main players. The US has imposed 25% steel and 10% aluminium tariffs on South African exports to the US from 1 June, as part of Donald Trump’s protectionist strategy. Steel-making reportedly accounts for 1.5% of South African GDP and employs 190,000 workers directly. The employer organisation Seifsa estimated in May that more than 7,500 steel making jobs are threatened by Trump’s steel tariffs. This shows the real vulnerability of any economy that relies on export of commodities or metals to grow its economy. It puts that economy at the mercy of forces it does not even influence, let alone control. At least the European Union, when faced with Trump’s tariffs on steel and aluminium, can threaten retaliatory tariffs of its own. South Africa? What would we threaten? Will we impose an even higher tariff on Harley Davidson motor bikes? Will the US economy notice? In his neoliberal wonderland, Cyril Ramaphosa has a vision of a government “determined to work with mining companies, unions and communities”. In this real world where we live, however, it is only the companies that matter to government. The simple logic of capital requires that mines which do not make a profit must close. 13,000 jobs are under the hammer right now at Lonmin Platinum and thousands more in other mining sectors. In the last year, according to Stats SA, 50,000 jobs have been lost in the mining industry. Jobs, food security, housing, health: these should be the point of departure for economic policy. Social guarantees to the mass of people, not profit guarantees to the rulers of companies. And in that context, the main focus of progressive economic policy is not (blind) growth as such. It is to ask: what kind of growth do we want? • Tax the rich and reintroduce prescribed assets to grow investment in a mass, state-driven housing programme and rural recovery strategy based on the redistribution of land. 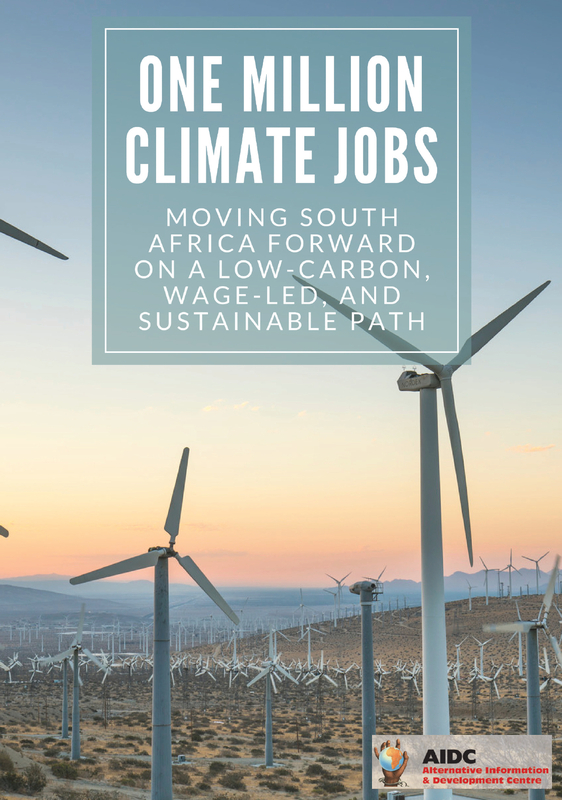 • Rapidly move to low carbon industrial strategies that prioritise industrial production of renewable energy infrastructure and food sovereignty, and community-controlled agriculture instead of corporate mining and destruction of good land. • Install capital controls to stop speculation on the rand. • Impose protective tariffs on key industries we need to grow outside of international competition. • Undertake a debt audit and declare a debt standstill as we investigate which components of the debt are odious and should be cancelled (like billion rand loans to Transnet from China that benefitted Gupta-sidekick companies). • Break the investment strike by using nearly R2 trillion sitting in the Public Investment Corporation to fix the SOEs and fund social projects (NHI, housing, land rehabilitation, local roads, water, sanitation). Stop relying on the financial markets to get rid of the state debt. However, economic policies such as these are not going to come into existence by convincing those in power. Cyril Ramaphosa is not going to be converted from his adherence to neoliberal orthodoxy by the force of our arguments. We need to unite working class forces in struggle around such an alternative programme. At the end of May, Saftu’s NEC committed itself to convening a Working Class Summit within eight weeks: “This National Assembly of the poor will bring together all workers and progressive civil society to take ownership of the campaign.” That opens up the possibility of building the unity that is needed. But the question remains: for all those organisations who see themselves as part of the left. Do you see this priority? In the context of our very grave economic and social crises, do you accept to urgently forge unity of popular forces? Do you see the priority and possibility of building an anti-capitalist alliance over the narrow interests of your particular political organisation? Will you come together to build a political platform based on the interests of the working class and the poor? Will you see the bigger picture? 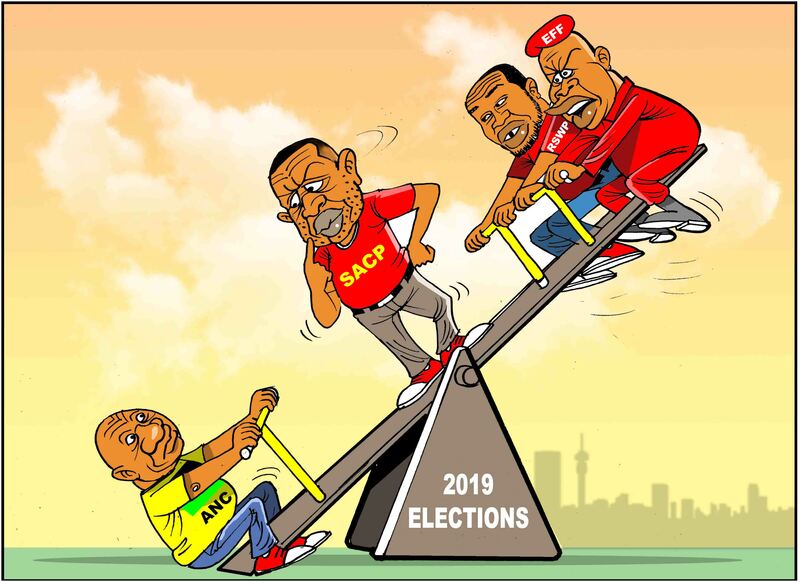 We need to use the 2019 elections to take such a programme forward, through unity of left forces in an anti-capitalist alliance. A left bloc which can challenge neoliberal orthodoxy and fight for an alternative way forward. That is the challenge. The article is thought provocing thanks. Two things not mentioned… the effects of the s25 amendment already on agriculture. The other is Corruption. Until such time when corrupt people start serving jail time, there are more sceptics out there that does not have confidence in the judicial system. No confidence = less investment = lower productivity = lower job creation.When we had the world cup in 2010 the court system was geared for rapid turnaround time. Why cant that scenario not be repeated?